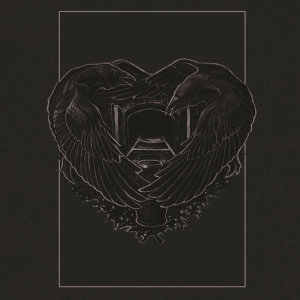 A fun, short and sweet fourth full-lengther from San Francisco Doom/Metal occultists Castle. 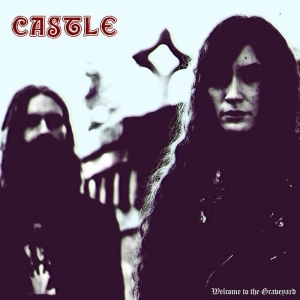 Packed with androgynous vocals and themes of the occult, Castle gives us a fun, short and sweet compilation of eight songs with their album, ’Welcome To The Graveyard’. 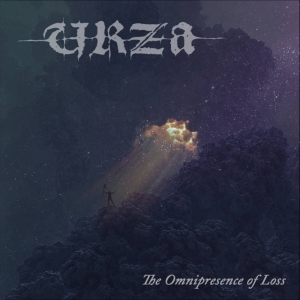 Some of the songs are winners, and others are a little dry, but overall, the album carries a classic, Metal sound with it that is sure to please. 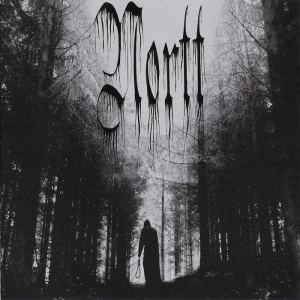 The mood of the music here isn’t as dark as other Metal and Doom albums, some of the riffs even sound cheery, though its lyrical themes exhibit the go-to topics of death, medieval torture devices, and witches. ’Welcome To The Graveyard’ finds itself with a strong opener, the track, ‘Black Widow’. What’s most noticeable about this song is its vocal melodies. Castle’s female singer belts these parts in a tone reminiscent of Geddy Lee’s, but these are certainly more aggressive, and complete with wailing, Hair Metal screams throughout. Other notable vocal moments are the chorus to the album’s fourth track, ‘Veil Of Death’, and the following track's - 'Flash Of The Pentagram' - intro. On the latter, we even hear some gutturals beneath the main melody to beef up the arrangement. As for the guitars, their riffs are excellent, as are their solos. The drums play a competent beat behind every riff, and these parts show a decent bit of variety; sprinkled throughout, there are some interesting double kick parts that can surprise the listener in a good way. The bass guitar sits indistinctly behind the mix, which is a shame because some of the guitar riffs begin to sound dry with their constant galloping, chugging approach on almost every song on the album; some bass fills or distinct grooves would help the album in this regard. If they are there, they are buried beneath the rest of the mix. Putting this all together, ’Welcome To The Graveyard’ is a solid effort, one that explores many of the genre’s roots. This is an album that sounds like it could have come from the 80’s, though it has its moments which clearly mark it as a newer effort. In my opinion, the album’s strongest track is the penultimate one, ‘Down In The Cauldron Bog’. Its structure and melodies show the most compositional talent of any track on the album, and it’s nice to hear to guitars spice it up a bit with that one. Visit the Castle (USA) bandpage.